Looking to buy tea cup rides for your amusement rides business in Australia? Contact Beston Amusement. 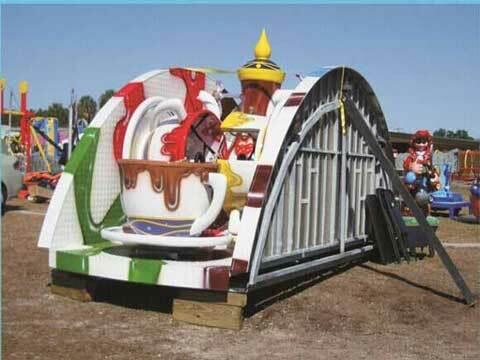 We are a large tea cup rides manufacturer. 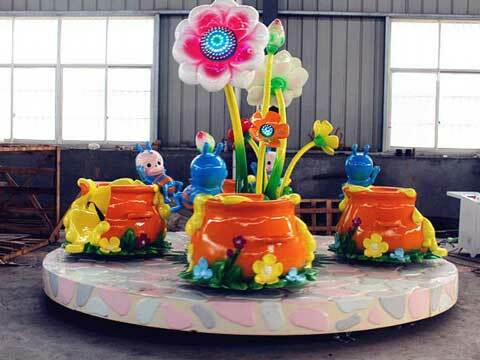 This page we will show you more about the tea cup rides for sale in our factory. Welcome to buy tea cup rides from Beston Amusement for your business in Australia! Teacup rides for sale from Beston Amusement is popular and hot sale in Australia. It is a kind of rotating games, which is made up of a big turntable, a small turntable and several cups. Usually Tea cup rides are made of 6 cups, but we also made the 9 cups tea cup rides. About the 9 cup model rides, there are three small turntable on the big turntable, and three cups on the small turntable. These 9 cups is the cockpit of the visitor. In addition to the rotation around the central axis, but also go around the center of the small turntable rotation. Each of the cup will include 4 passengers at the same time which is suitable for family trip. As a large amusement tea cup rides manufacturer, Beston Amusement has produced more than 10 types of tea cup rides. We had exported many sets of tea cup rides to Australia, for example the kiddie flower tea cup rides, bear tea cup rides, common tea cup rides and other coffee cup rides with teapot in the middle of the equipment. Teacups is a popular amusement park ride characterized by cup-style spinning vehicles which is above on a turntable-like floor. Generally speaking, each set of ta cup rides mainly consist six cups and usually six cups will have a center bearing mounted underneath. It is similar to a car wheel that bearing mounted on a circular floor capable of turning 360 degrees. The circular floor of these tea cups sets sits on a larger turntable-like floor. It is driven by a motor through a starting device. The tea cup rides begin to spin slowly and build up speed while the turntable spins the whole ride. These rides are driven by a motor which is fixed to the base in either the middle or outside. The motor fixed in the middle has a gearbox which changes direction. Kiddie rides should not spin faster than eight times per minute. Only in this way, the rides will be suitable for kids. 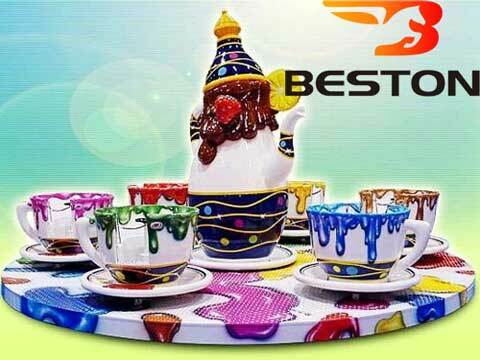 Beston could design and manufacturing different models of tea cup rides for amusement parks and other fun family centers. We had become one of the largest mechanical rides manufacturers in China. We had exported many sets of tea cup rides to Australia. We had corporate with many amusement park, theme parks, amusement centers and funfair in lots of cites in Australia. 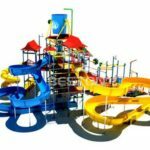 Our amusement items are widely used in parks, supermarkets, kindergartens and other amusement places. We take pride of our amusement rides with CE & ASTM certifications. Welcome to Beston Amusement to buy your tea cup rides and other different kinds of amusement park rides for your amusement rides business in Australia.